"Can't fault it. Found an old vcr with s-video out on trademe. The picture quality and recording look great. It of course all depends on the video tape quality that was brought at the time. very simple..."
"Really easy to use. Seems to be the most Mac focused. 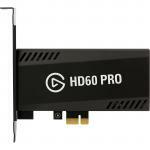 Little on the expensive side compared to other options." 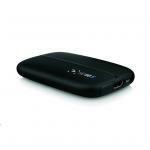 "Great product. No issues with it. 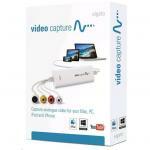 Easy to use and you can continue to work on other things while it captures video in the background. 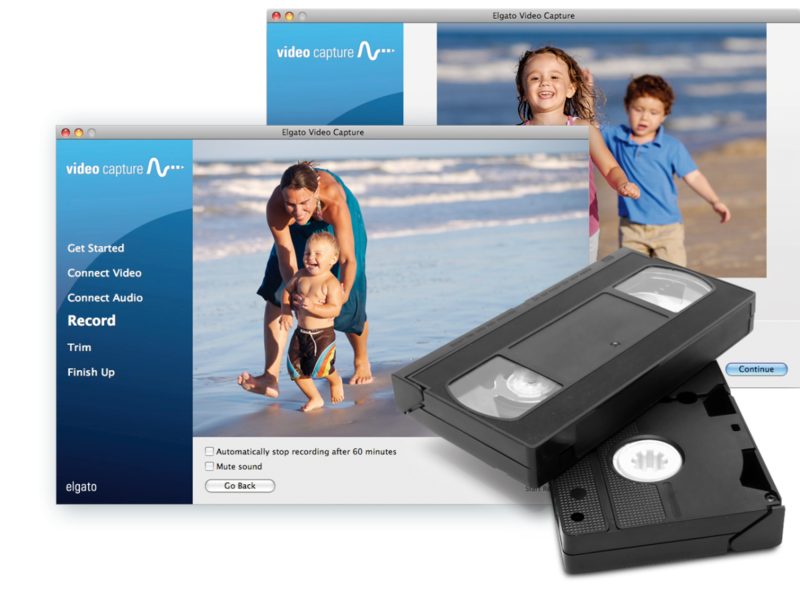 Allows you to trim the footage but you'll need other software if..."
Transfer video to your Mac or PC from a VCR, DVR, camcorder, or any other analogue video device as a high quality H.264 file. 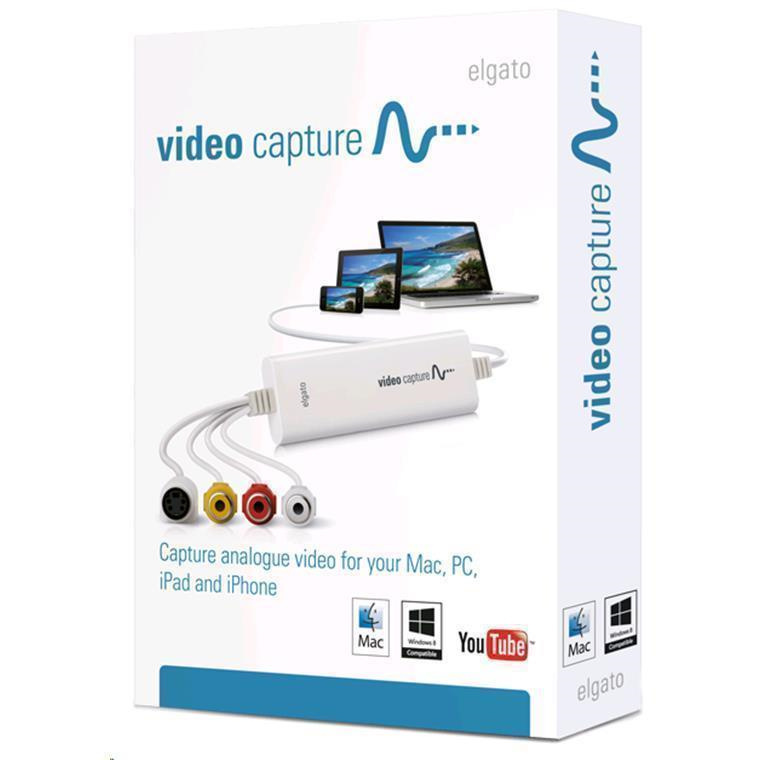 Elgato Video Capture's easy-to-use software assists you through every step, from connecting an analogue video device to capturing video and choosing how you will watch and share it. 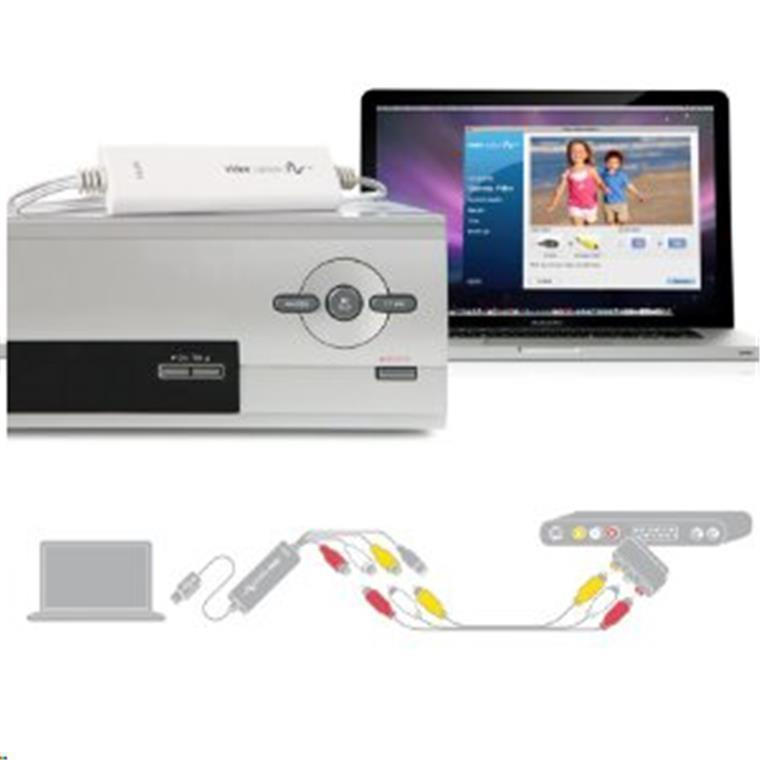 The era of VHS tapes is winding down, and after three decades there is a lot of video content to transfer for modern playback devices. What's more, any video stored on magnetic tape (such as VHS, Video8 and Hi8) has a limited life span and deteriorates over time. 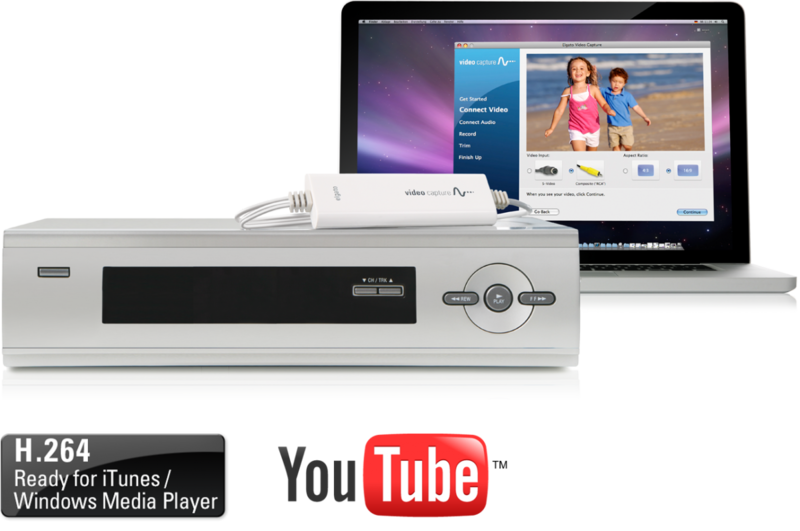 Elgato Video Capture provides an easy way to bring those precious memories into iTunes or your Windows Media Player library. Perhaps you've been given a DVD from a family event or reunion and you want to share it by posting it on your website or on YouTube. Or you've saved some great movies and TV shows on your DVR and want to play them back on your iPad. 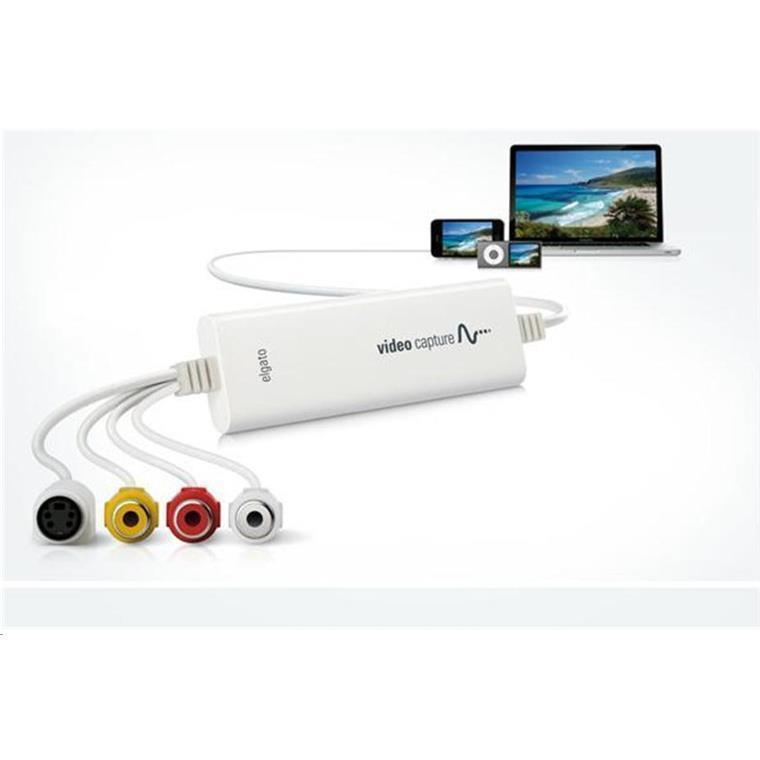 Elgato Video Capture can connect and capture video to your Mac or PC from any device that has composite "RCA" or S-Video outputs. It also comes with a SCART adapter. Can't fault it. Found an old vcr with s-video out on trademe. The picture quality and recording look great. It of course all depends on the video tape quality that was brought at the time. very simple software, but it works! would highly recommend.Can't fault it. Found an old vcr with s-video out on trademe. The picture quality and recording look great. It of course all depends on the video tape quality that was brought at the time. very simple software, but it works! would highly recommend. Really easy to use. Seems to be the most Mac focused. Little on the expensive side compared to other options.Really easy to use. Seems to be the most Mac focused. Little on the expensive side compared to other options. Great product. No issues with it. Easy to use and you can continue to work on other things while it captures video in the background. 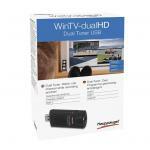 Allows you to trim the footage but you'll need other software if you want to edit.Great product. No issues with it. Easy to use and you can continue to work on other things while it captures video in the background. Allows you to trim the footage but you'll need other software if you want to edit. Normally: $149.00 Normally: $171.35 $142.96 ex. $164.40 inc.